Doorsteps dotted with pumpkins, weekends spent watching football and the aroma of cinnamon and spices capture just a few of my favorite fall traditions. There seems to be an almost palpable shift in the air when the seasons change, and after a long and hot summer, the cool embrace of fall is always welcome. This fall is particularly special to our family, as we’ll be celebrating our son’s first birthday! It’s hard to believe he is almost one! Keep an eye out for all the party details later this month. Another one of my favorite parts of fall is the fashion! While day-to-day you’ll find me in athleisure (I have to be comfortable when chasing after two little boys! ), I do love to dress up throughout the week and of course for date night on the weekends. 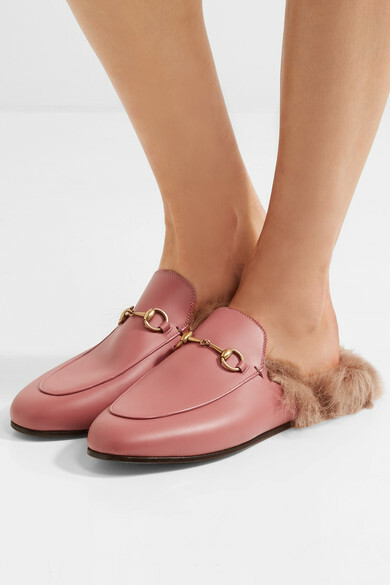 Rich jewel tones, playful plaids, luxurious cashmere are all hallmarks of fall fashion, and this year there’s a new trend to add to the list: mules. It’s no secret that mules are in style – they are everywhere! – and I have to admit I’m just loving them. Mules are effortlessly chic and go with anything from a dress to jeans and blouse. Not to mention there are so many different designs ranging from velvet to leather to embroidery. I have my eye on these ones – love the style and price is hard to beat – and I think these would be worth the splurge. I love to dine out with my girlfriends, and we try to do brunch or dinners about once a month. 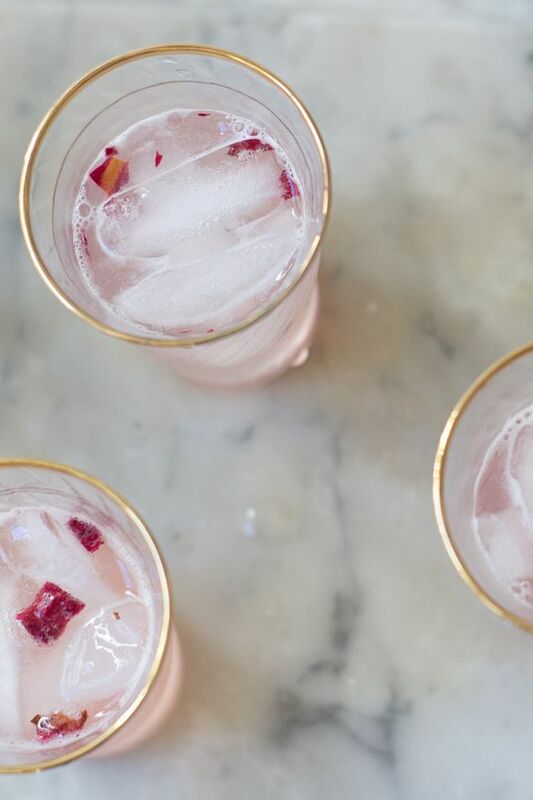 Along with our entries, some of us will share appetizers or salads, or enjoy a bottle of rose or cocktails. When it comes to the bill though, I’m constantly perplexed about the best way to split it. Do you recommend splitting it evenly, even if some of the girls don’t drink or have one of the appetizers? What is most fair? Good for you for doing monthly girls dinners! It’s so important to make time for friends, and what better way to catch up than over a fabulous meal. The check can be a sticky situation though, so my advice includes two options: Option number one is to kindly ask your group if they mind having separate checks. If all are in agreement, then notify your server, at the beginning of the evening, to split the bill. In other words, each person will receive a bill for exactly what they ordered. This way, everyone can be in charge of their own check. Option number two is to evenly split the check between all of the guests. If everyone has a meal that adds up to essentially the same amount, then it makes perfect sense to just do an equal divide. Another thing to consider (and something my friends do since I don’t drink), is if you enjoyed cocktails and one of the other girls didn’t, perhaps offer to cover her portion of the tip. Also, if you’re celebrating someone special, e.g. someone’s birthday, it’s lovely to cover their portion of the bill. 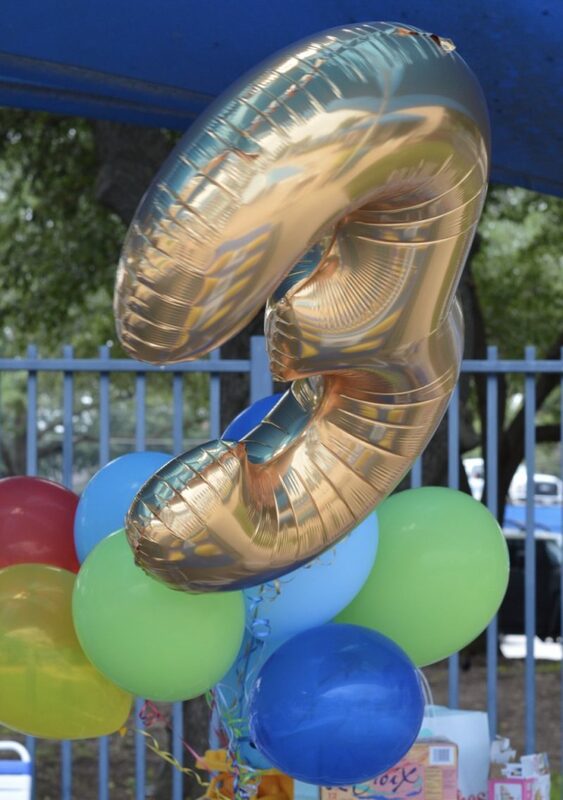 We recently celebrated our sweet son’s 3rd birthday, and what fun we had! I still can’t believe he’s 3 years old – time is going by so very fast! While I’ve always tried to cherish every minute of our boy’s childhoods, I’m finding myself holding on tighter than ever. These years are so precious and I am savoring every minute and every stage of life with them. Back to the party! 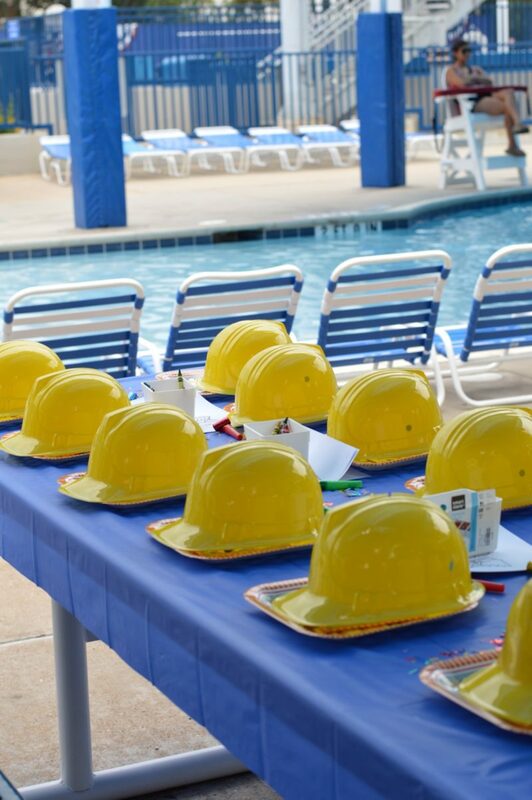 Since C is a summer birthday, we decided a pool party would be the perfect way to celebrate. What toddler doesn’t love to splash and swim on a hot summer day? 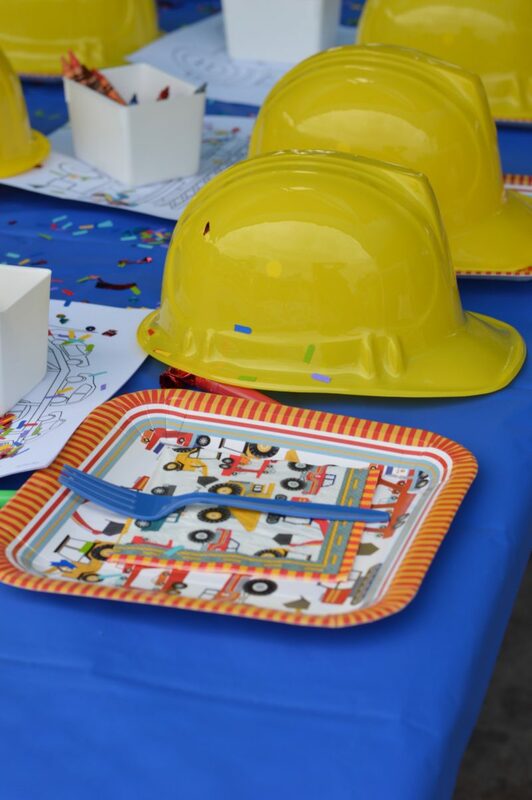 C chose a construction theme, which is only fitting since he adores all things trucks, cranes and excavators. Once he had his heart set on the theme, it was off to the races with planning, and I found these darling invitations by our favorite stationery designer (we love Lucy! ), which inspired the entire look of the party. 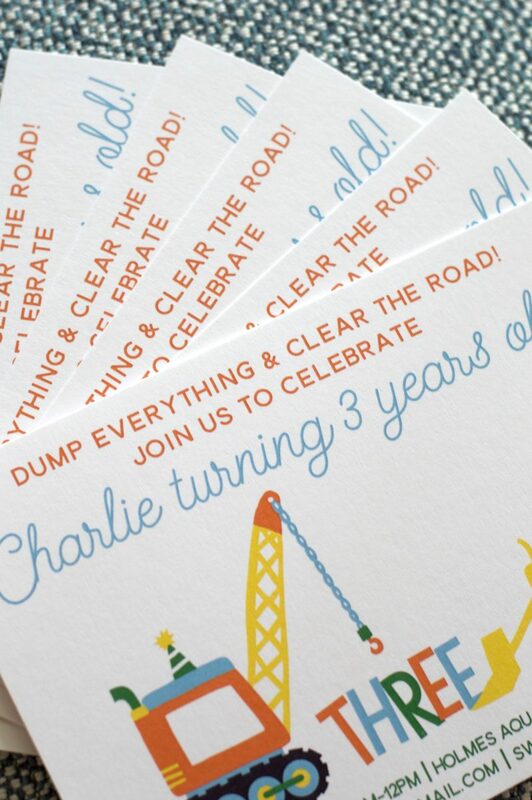 Lucy designed adorable invites that combined C’s construction passion – cue the dump trucks! 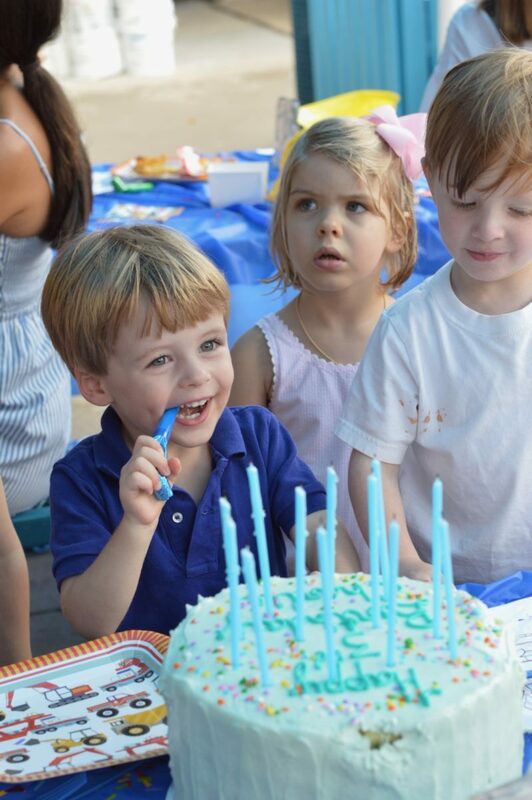 – with the charm of a third birthday. 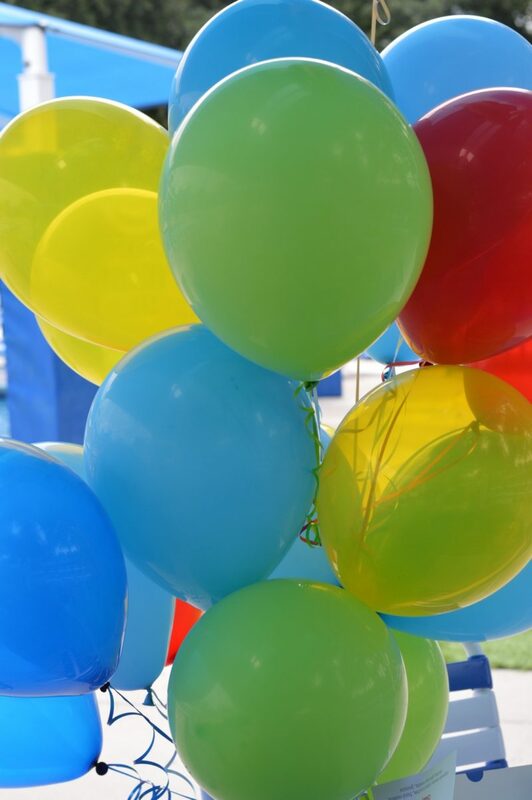 We opted for simple and sweet party decor, featuring a bright and cheerful color scheme of yellow, red, blue and green. These Meri Meri plates and napkins stole my heart, and paired with the royal blue table clothes made for a swoon worthy toddler table setting. 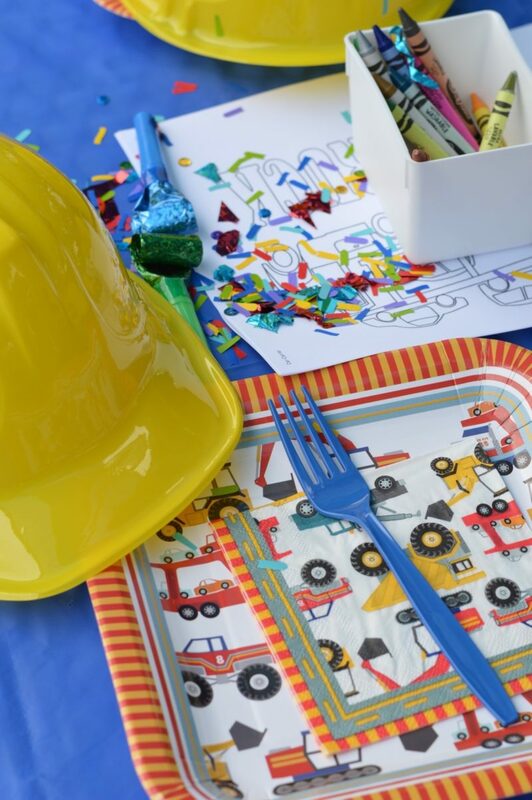 Multicolored confetti, party blowers, and shiny yellow construction party hats added festive bursts of color to the table, and a construction themed coloring activity and crayons kept the little ones busy post-swim. The kids nibbled on chicken fingers, waffle cut fries and fruit for lunch, as well as blue confetti birthday cake, and took home blue and green bubble wands as party favors. As you can imagine, C enjoyed his party beyond words! 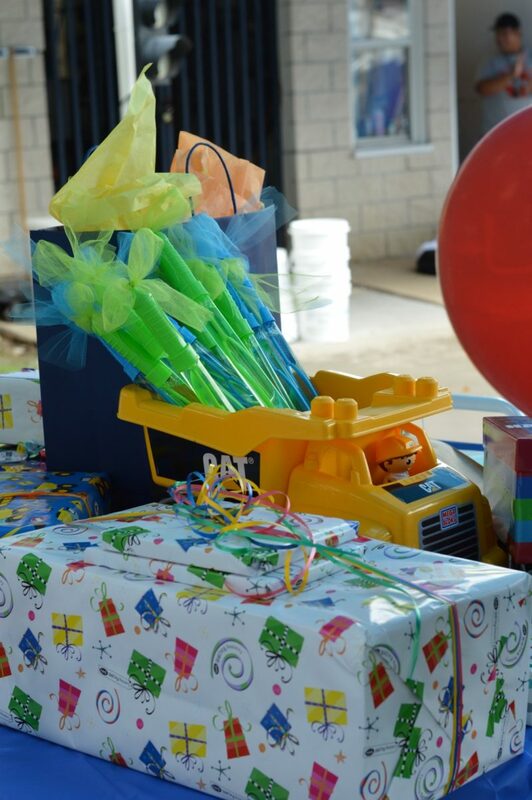 So what have I learned now that I’ve planned three birthday parties for our son? My biggest pieces of advice are to plan ahead and be organized, choose a theme that’s special to your child, offer an activity for the children, and of course delicious food and cake. At the end of the day, your child will love whatever party you host, be it a small family gathering or get together with their friends. Also, be sure to snap a handful of pictures to remember the day. And as always, have fun! Next up is baby brother’s first birthday, and we’ll be celebrating with a “Our Little Pumpkin is Turing 1” theme. Stay tuned for all the details!